With the holidays in full swing, I am always looking for dishes that can help keep things simple when entertaining. 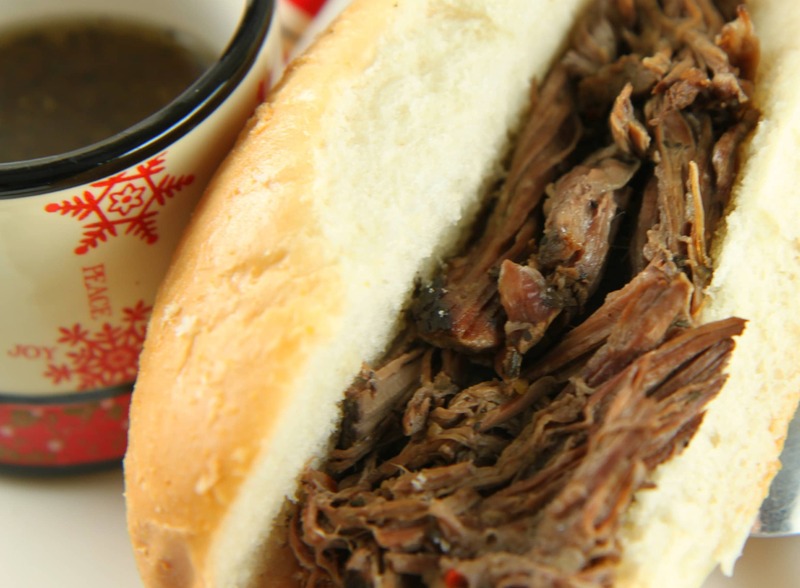 Anything involving my slow cooker is a surefire entertaining winner and these Italian Beef Sandwiches are an absolute hit whenever I make them for friends and family. The best part about these is that they require very little preparation, but reap delicious rewards after simmering away in the slow cooker all day. The beef is so flavorful as it simmers in these delicious spices all day. After you shred the meat, you can place it back in and ladle a bit of the juice in small cups or ramekins for dipping for your guests. The juices have a kick from the red wine vinegar and Worcestershire sauce which help to brighten the muted flavors of the dried spices. We love to serve these sandwiches with my bacon ranch cheese ball, a tray of fresh veggies, and a batch of spinach dip with pita chips for dipping for simple and delicious entertaining. 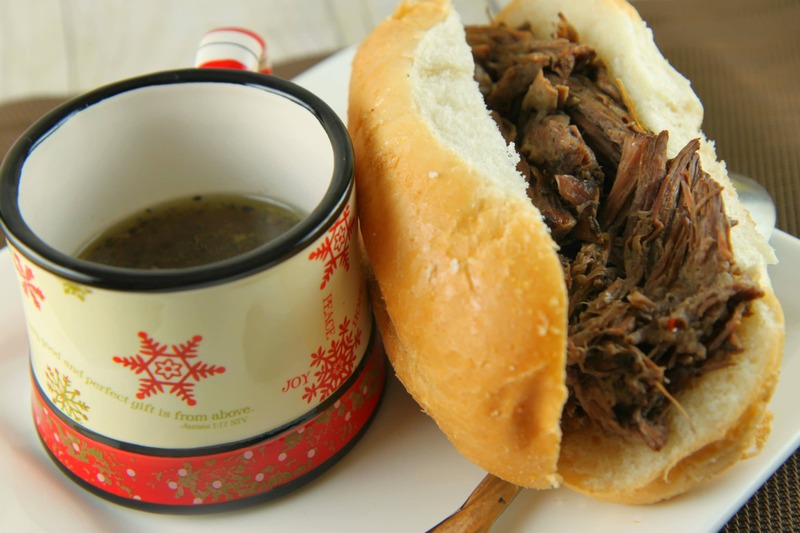 Keep the entertaining simple this year and make these sandwiches in your slow cooker for your next holiday party!